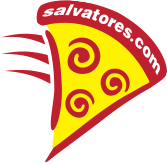 Thank you for your interest in Salvatore's. Please complete the following Franchise Information Form to contact our franchise team. Salvatore's currently has many individually-owned locations throughout Rochester, NY. We are also looking for franchisees for our Speedy Slice pizza concept. If all looks good, we can have you up & running within months! Do you have a potential location in mind for your store?